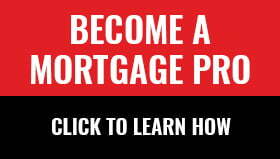 Each year CMT selects the new mortgage from the prior year that had the most positive impact on the mortgage market. This year’s choice was relatively easy, for two reasons. For one, there weren’t many innovative products launched in 2014. But more importantly, there was clearly no new product that had as much effect on consumers as MCAP’s Value-Flex. The Value-Flex came to market loaded with features, including a 20% annual lump-sum prepayment option, optional 20% annual payment increases, a fair penalty (for early termination), portability, blend and increase ability, online account access, a purchase plus improvements option and convertibility (on the variable-rate version). The #1 string attached is that it restricts borrowers from moving their mortgage to a new lender before maturity. In exchange for that constraint, the Value-Flex comes with one of the best rates around for a 5-year fixed or variable term. Prior to Value-Flex, most ultra-deep-discount mortgages had above-average penalties, completely closed terms or limited prepayment options. But MCAP retained full prepayment privileges and decided to let borrowers discharge before maturity with a reasonable prepayment charge (as long as the property is sold to a bona fide third party). The interest rate (which is truly the sizzle of this product) is regularly 10-15 basis points below most other lenders. Often times, MCAP ValueFlex mortgages have had the best rates on the street thanks to an extremely favourable buydown factor that encourages broker discounting. Huge indeed. MCAP should sell billions worth of this mortgage in 2015, making it a crucial part of the company’s portfolio. Some might even deem it a saviour product given that the company’s reputation for sharp pricing had slipped prior to its release. Either way, the past few years have seen a wave of low-frills mortgages wash ashore in the mortgage market. But this product sets a standard in that space. MCAP has successfully stripped away as little as it could (features-wise) while still delivering outstanding interest savings to consumers. And for that reason, the ValueFlex is Canadian Mortgage Trends’ Mortgage of the Year. TD Canada Trust rolled out its FlexLine, a single-charge mortgage and credit line combined. Unlike TD’s prior HELOC, which had a 65% loan-to-value limit, FlexLine’s loan-to-value is 80% (including the amortizing mortgage portion). TD also added full readvancing capability—so that paid-off mortgage principal could be easily re-borrowed from the credit line. Canadian Mortgage Trends grants the Mortgage of the Year award to the mortgage product that has offered the greatest innovation, flexibility and/or cost savings to homeowners in the prior year. This is the seventh year that the award has been presented. MCAP’s RMG division has the Low Rate Basic mortgage at a similar rate. Any opinion on which mortgage is better? I’d say MCAP’s. Its version has a much lower penalty if you sell your property and better blending policies. RMG doesn’t do blends and increases.